Molokaʻi or Molokai is an island in the Hawaiian archipelago. It is 38 by 10 miles (61 by 16 km) in size at its extreme length and width with a usable land area of 260 square miles (673.40 km2), making it the fifth largest of the main Hawaiian Islands and the 27th largest island in the United States. It lies east of Oʻahu across the 25-mile (40 km) wide Kaiwi Channel and north of Lānaʻi, separated from it by the Kalohi Channel. The lights of Honolulu are visible at night from the west end of Molokaʻi, while nearby Lānaʻi and Maui are clearly visible from anywhere along the south shore of the island. 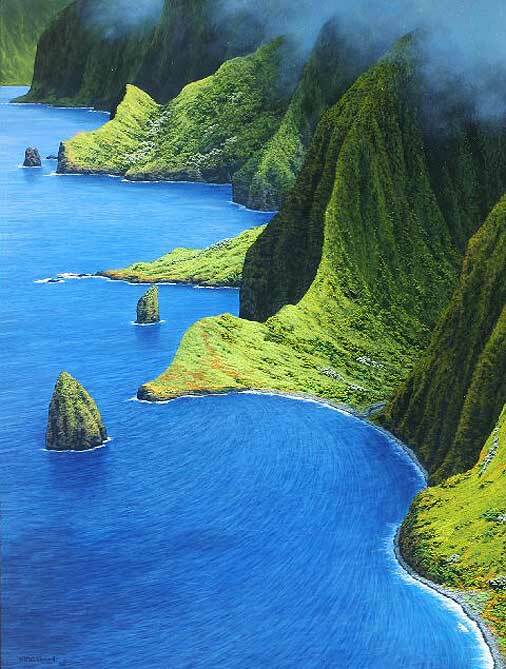 The shape of Molokai Island can be recalled is that of a shoe or a fish. Molokaʻi is distinguished in the Roman Catholic religion as the site of past religious miracles verified and confirmed by the Vatican, and the longtime residence of Father Damien de Veuster, a Belgian priest and Mother Marianne Cope of the Sisters of St. Francis, both of whom have been canonized Roman Catholic Saints for their treatment and care given during the 19th century to long term sufferers of Hansen's Disease, also known as leprosy. A site of a Roman Catholic Saint is deemed a sacred place and is visited by practicing Catholics from around the world for giving prayers asking for healing and religious guidance. 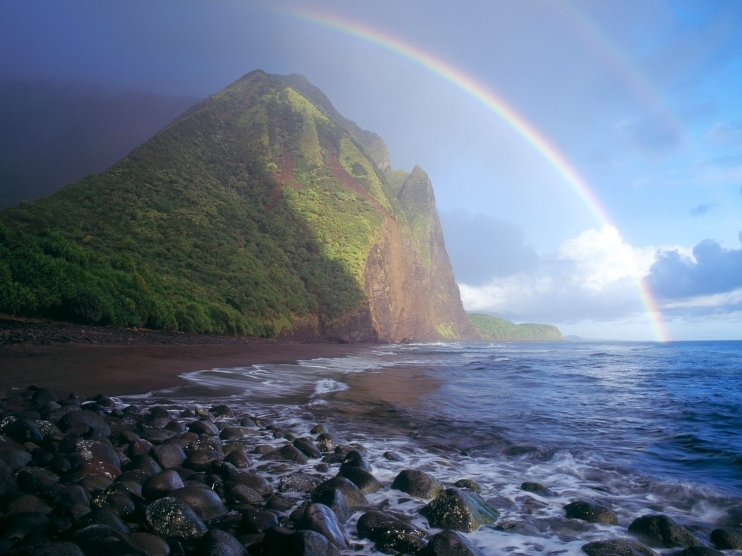 The Kalaupapa Colony is one of the two sites in the United States where a Roman Catholic Saint resided and performed past miracles; it is the only single site where two Saints (Saint Damien and Saint Marianne) both resided. Historically, a small north shore colony on Molokaʻi, Kalaupapa, was the place where sufferers of Hansen's Disease were forced into quarantine by the Hawaiian government, but there are no active cases of Hansen's Disease on Molokaʻi today. Those who continue to live in the settlement are patients who chose to stay after the segregation policy was lifted in 1969. The first European sailor to visit the island was Captain George Dixon in 1786.